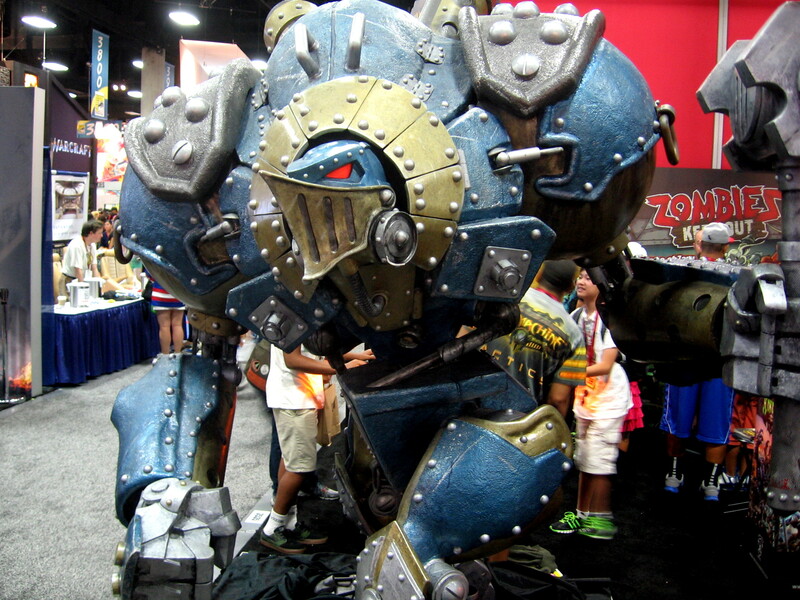 Cosplay and Comic-Con craziness in the Gaslamp! 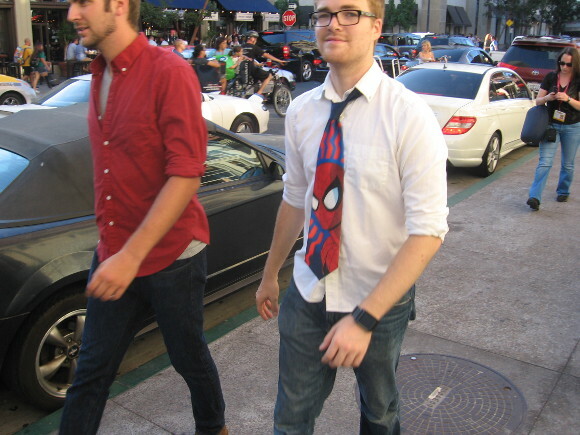 Gentleman heads toward downtown’s Gaslamp with a Spiderman tie. Except for the very last photo, I snapped these pics today in the early evening as I walked around downtown San Diego’s Gaslamp Quarter. Cool Adult Swim car seems to offer free rides around San Diego. 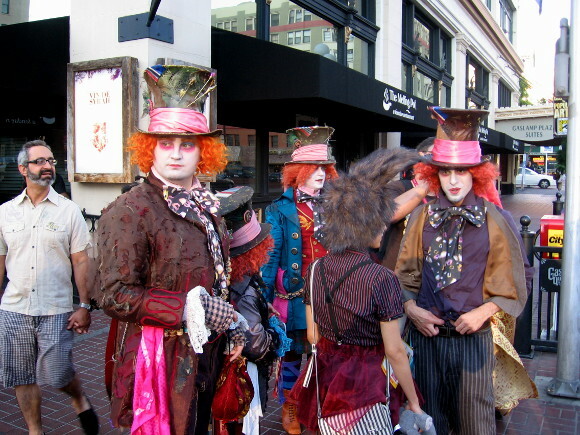 Steampunk guys heading down toward the center of cosplay action. 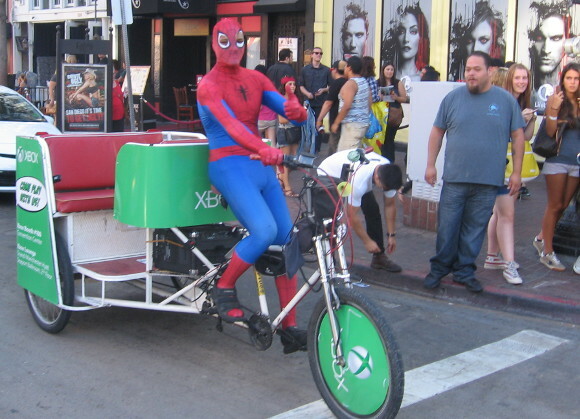 It’s Spidey driving a pedicab and giving me a thumbs up! 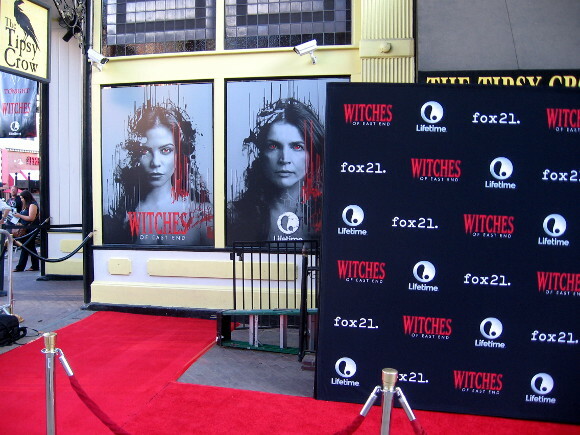 Lifetime Channel is to hold a Witches event tonight in San Diego. 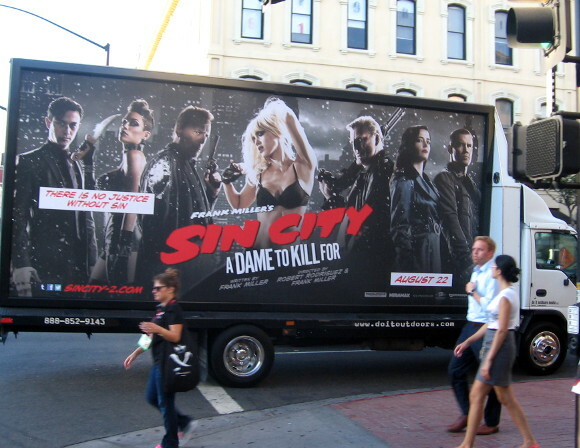 Mobile advertisement for the Sin City sequel, A Dame to Kill For. 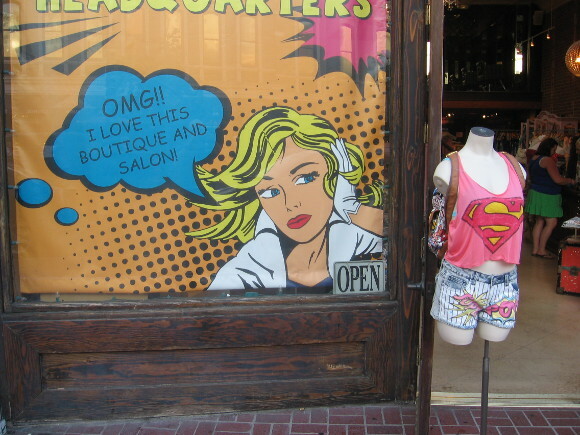 This colorful shop is appealing to the huge Comic-Con crowd. 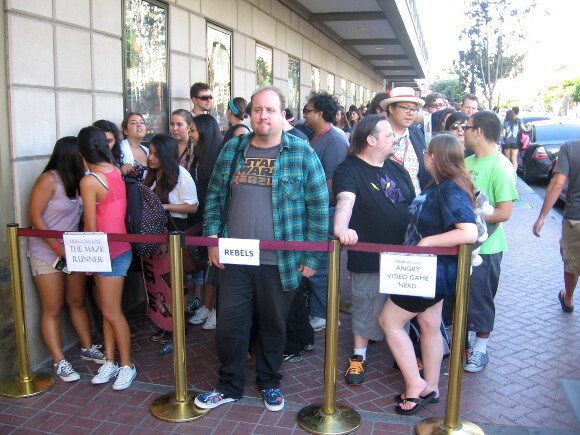 Gaslamp Reading Cinemas has showings, including Star Wars Rebels. 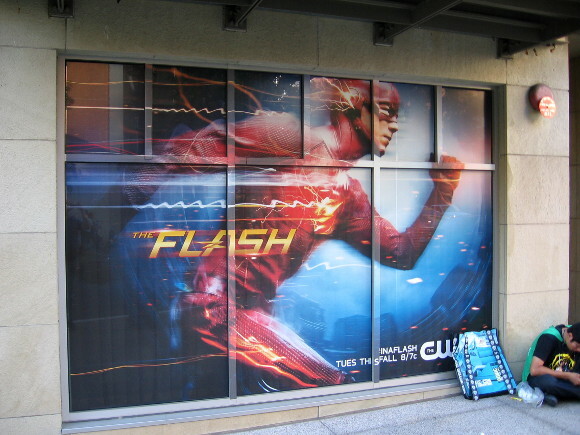 Flash sign is a window wrap near Petco Park. 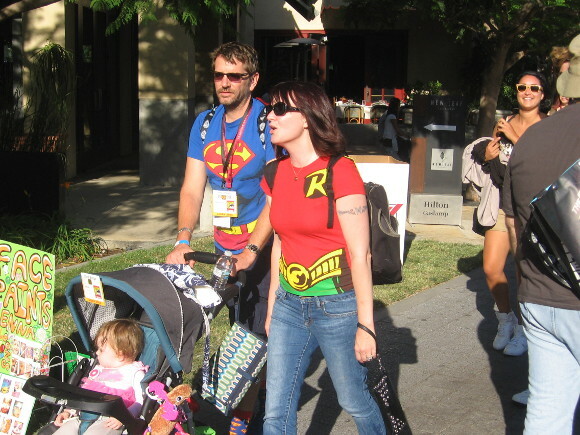 Two hostesses at a local restaurant are dressed for Comic-Con. 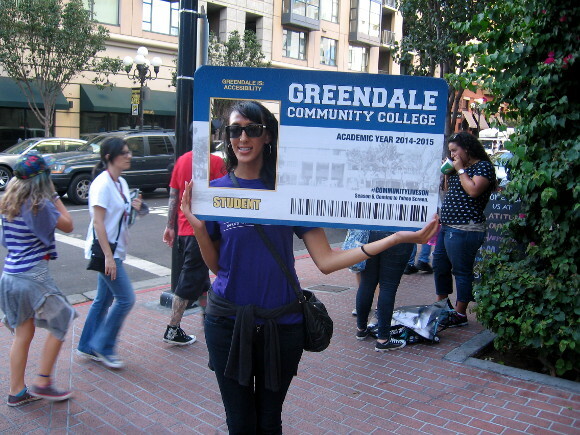 Lady with gigantic identification card is promoting Community. 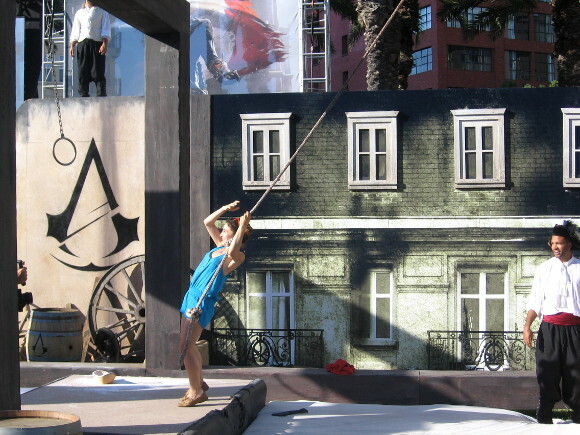 Lady swings in middle of the cool Assassin’s Creed obstacle course. 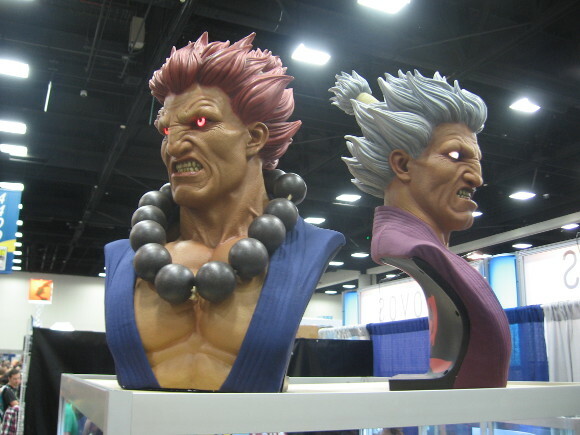 Pics of 2014 San Diego Comic-Con Preview Night! 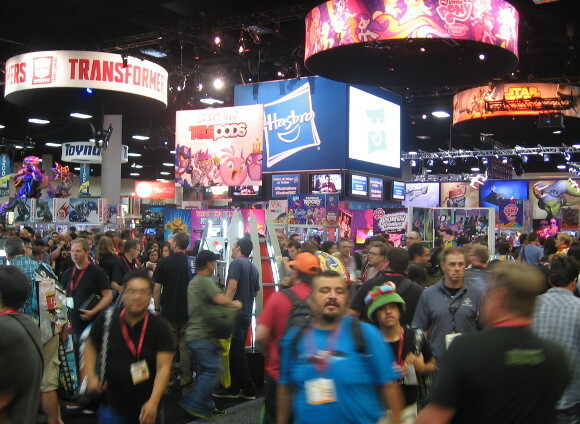 Thousands crammed San Diego Convention Center for Preview Night! Loads of awesomely cool stuff was literally everywhere one turned. 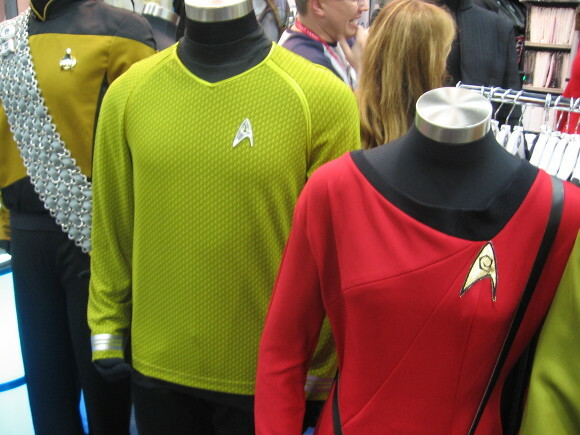 Anything imaginable could be bought, including Star Trek uniforms. 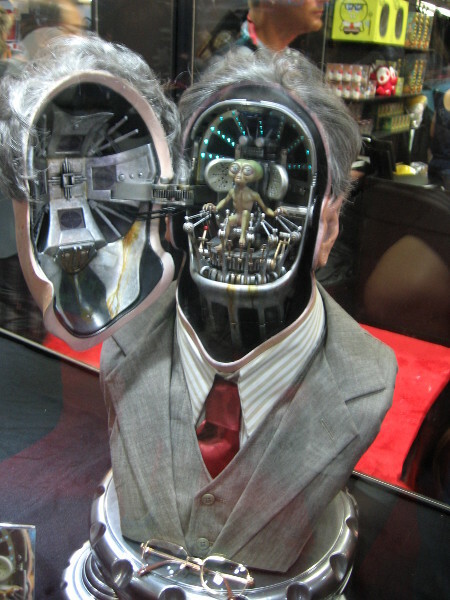 Models of science fiction and fantasy characters were everywhere. 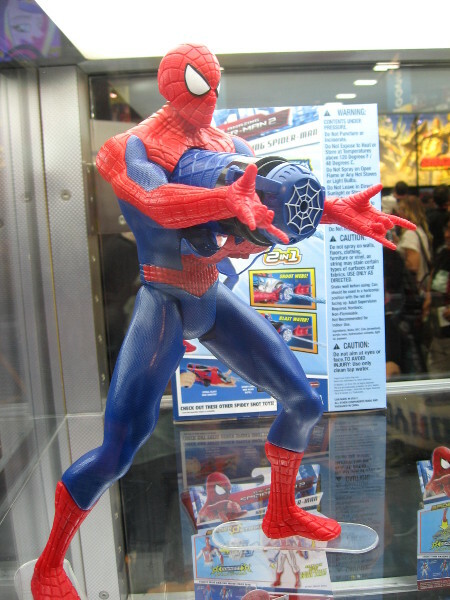 Spiderman figurine just one of hundreds on display. 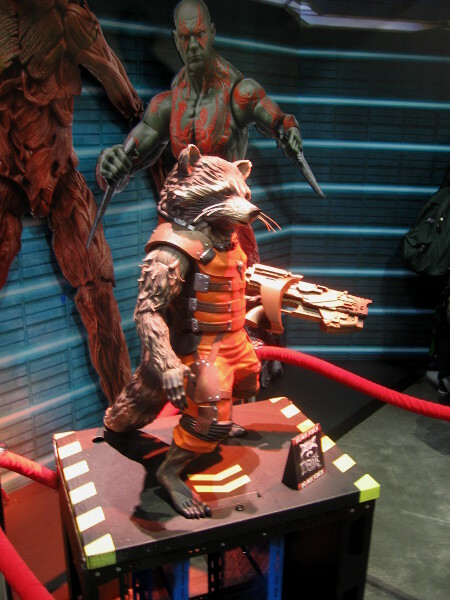 Rocket Raccoon was a very popular character. 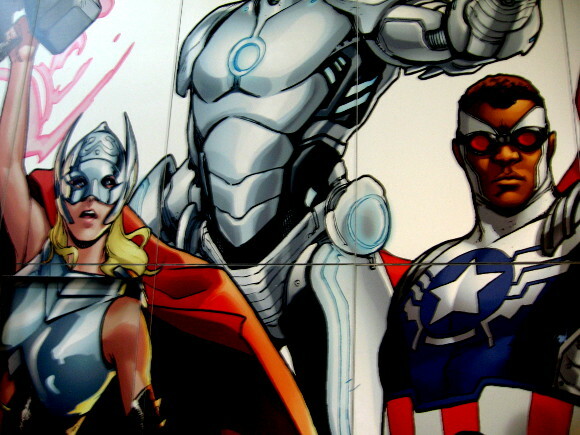 Huge Marvel mural contained the new Thor and Captain America. A great music blog . To be found on HenAgain , my alter-blog . I was in southwestern England years ago with my friend Willie Nininger the folksinger . He was playing some of the pubs in Devon and Somerset . He had gigs in England for a few weeks every year and he had local friends and fans . I went to a birthday party with him . It was a freewheeling affair , inside a pub and outside in the car park . Welcome , welcome , they all said to me , not knowing who I was , operating on the principle that any friend of Willie’s is a friend of ours. So we raised our pints to the birthday girl and drank and celebrated and sang For She’s a Jolly Good Fellow Which Nobody Can Deny . 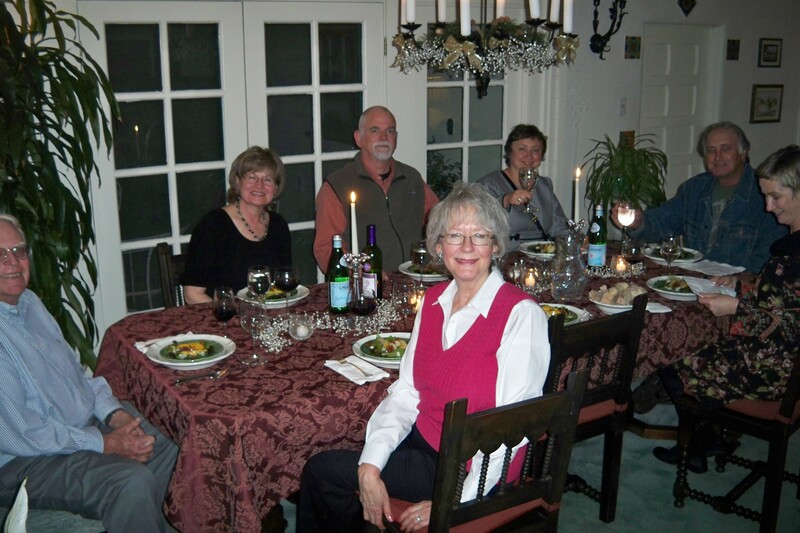 One of the guests invited Willie and the other American ( me ) to his house for a special meal . No , no , I said . Willie doesn’t come without you , he insisted . O.K. , then , thanks . He’s got a three-hundred year old house , Willie said , and he’s a gourmet cook . Great ! , I said facetiously . But the die had already been cast and my immediate destiny was set . Part of the problem was that I had been wearing the same shirt for three days and the same blue jeans for five because I had no other clothes . I had taken an early flight from Berlin to London , had left Poland at four in the morning to make it to Tegel in Berlin by six . I was second in line to check my bag . No other passengers around. There were two conveyor belts behind the sleepy airline employee : one to London and one to Ankara . I didn’t watch her put my bag on the Ankara belt . I would be in England for ten days. My bag went to Turkey without me and only arrived in London on my day of departure . So , I bought a couple of shirts , a toothbrush , underwear , and waited in vain for the airline’s help getting my clothes to me . I got a daily dose of empty promises . So we went to the house . Everyone had been drinking throughout the afternoon . 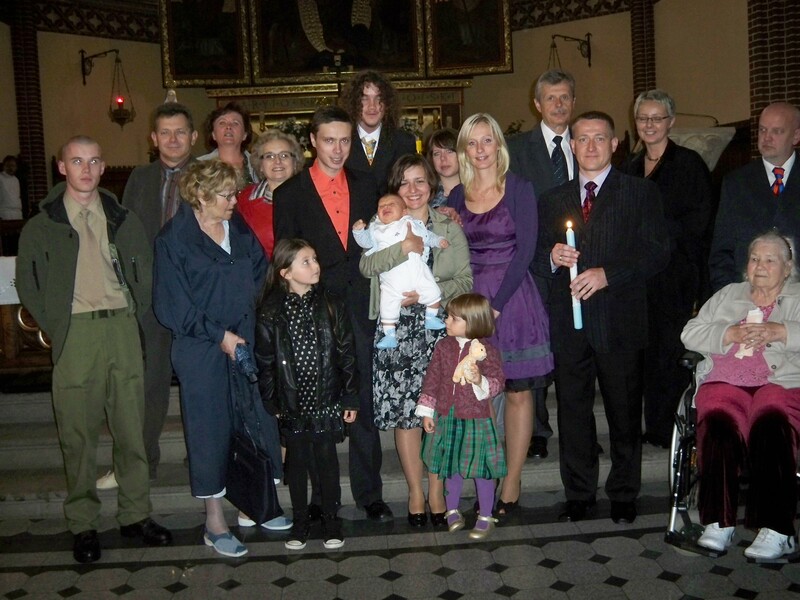 A small group of us gathered in the main room of the house . A fire crackled in the hearth . There was a third American there , a university student on break . Our host produced a bottle of liquor and a glass for each of us . We’re going to celebrate ! What ? said Willie . 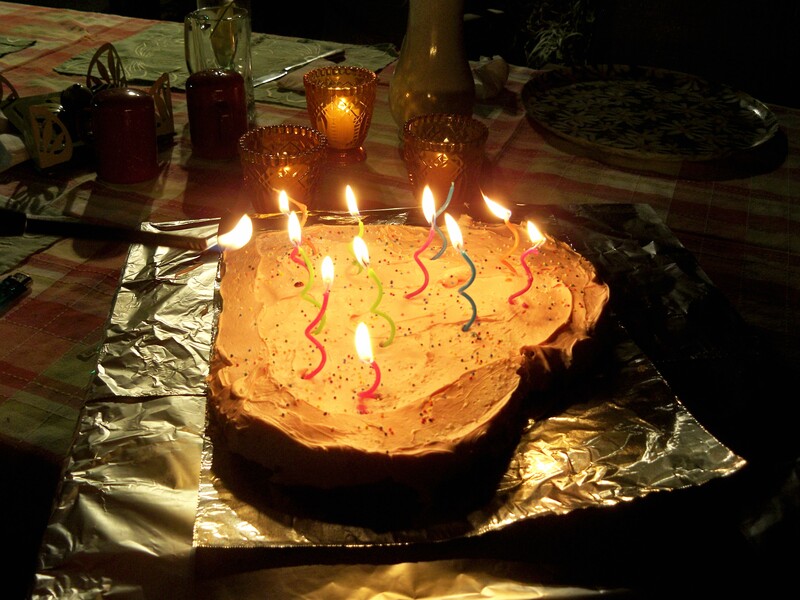 The house , the birthday , England , the shepherd’s pie he had cooking , America , music , he said . A toast to music ! And another. And another . And then we just drank , and talked , and tried not to fall off the chairs , and admired the house , and praised the upcoming food , and discussed the characteristics of the blazing fire burning in the hearth and shared in depth analyses of modern England and America , and swallowed more booze . The man’s wife had banished herself to a back room . His son was coming home later . His son worked with him . They were thatchers . There wasn’t much thatching work being done nowadays — not like in the old days . 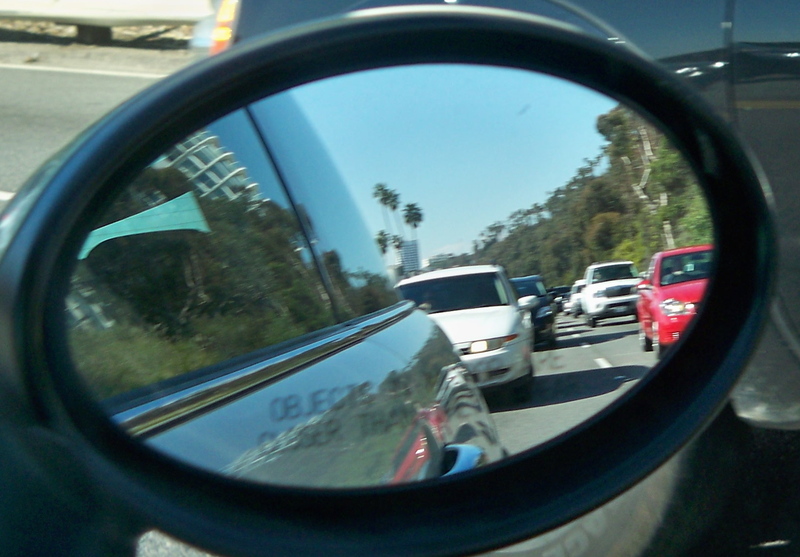 He fixed an assiduous gaze on me . Oh , you were in Poland ? Most of the thatching material is shipped in from Poland . Indeed . It’s a small world . And then the food came . Something English . Something special . 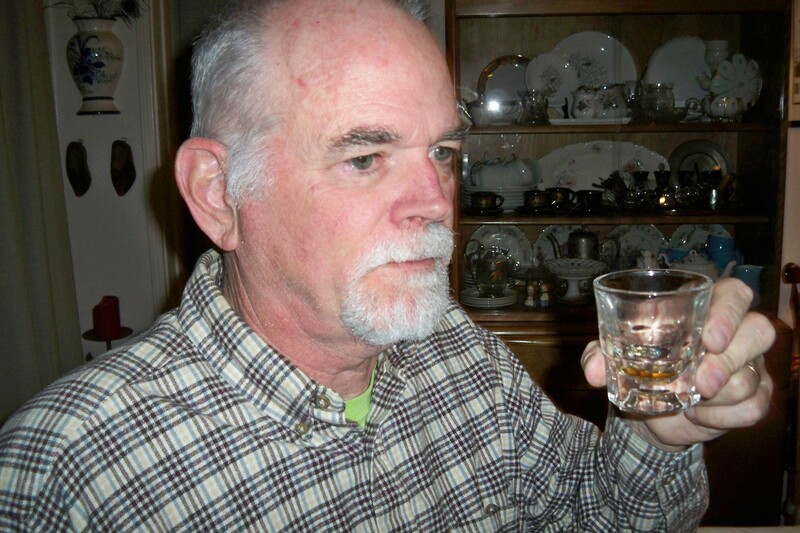 Heesh a gourmet , slurred Willie . Pass the bottle , if you will , someone said. If I can . If I can. Oh , so delicious ! What do you call it , again ? Yorkshire pudding . Shepherd’s pie . Fool . Did he call me a fool ? asked the American student . No , no . It’s a dessert . Have some more , have some more ! You American guys came so far to be here . Have some more ! No , no thanks . Please ! You’d be doing me a favor . Have it , said the old man near the door . The American student looked at me , asked with his eyes : would it seem rude not to accept ? Help me. Come on mates ! There’s just enough for two ! Hesitation . We’re both on the spot now . In a foreign country . In the face of unrelenting hospitality . What to do ? The room full of revelers waits . The student speaks first : O.K. , sure . I’d love it , he says . I follow . Me too. Thanks. If you’re sure . If you’re sure , repeats the student . Our plates are slapped with extra fool . The fool is finished . Pass that bottle if you please . With a mobile phone in her hand the wife comes into the room and calls us a den of drunks . She tells the husband that son Edgar is on his way . He’ll be hungry . 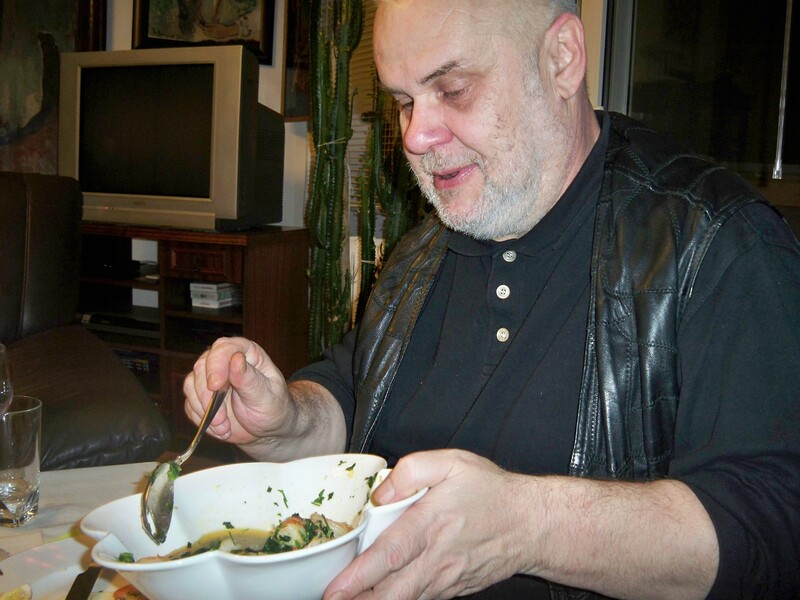 His favorite food is fool and the fool is gone . Your drunken friends have eaten the fool ! I saved some for Edgar , says the thatcher , but the two Americans ate it ! It was there , right there , a few moments ago ! And now they’ve eaten it ! My fellow Americans , I thought , it’s time to go . Willie was already up and stumbling for his coat . I could see panic in the student’s eye . But he insisted , he said to me . But he insisted . Get out ! Out of my house ! And then waves of undue invective spewing forth from the room propelled us out the door and out into the cold dark English night . 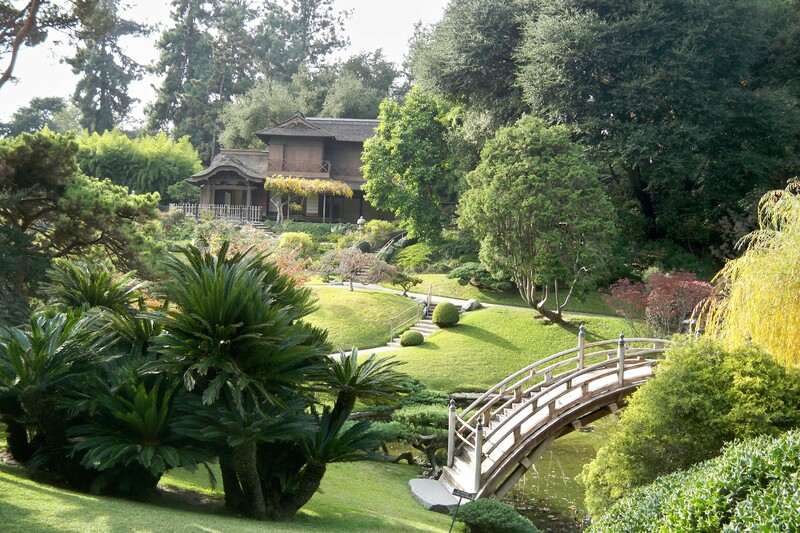 Nice house , I told Willie as we stood outside in an empty road in the open air and the American student fought with the zipper of his jacket in a frustrated competition with the cold . Did you like the food ? Willie inquired . I didn’t even want that extra helping , the poor guy with us mumbled .